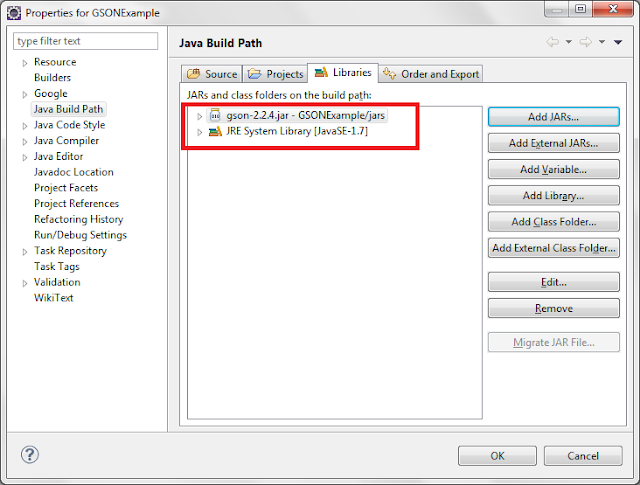 In this post,we will see how can we read and write JSON using GSON. 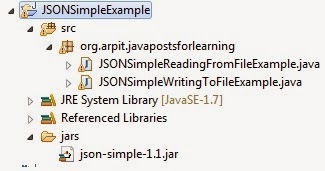 reading and writing JSON using json-simple.We will use another way(i.e. GSON) of reading JSON. toJSON() : It will convert simple pojo object to JSON string. FromJSON() : It will convert JSON string to pojo object. 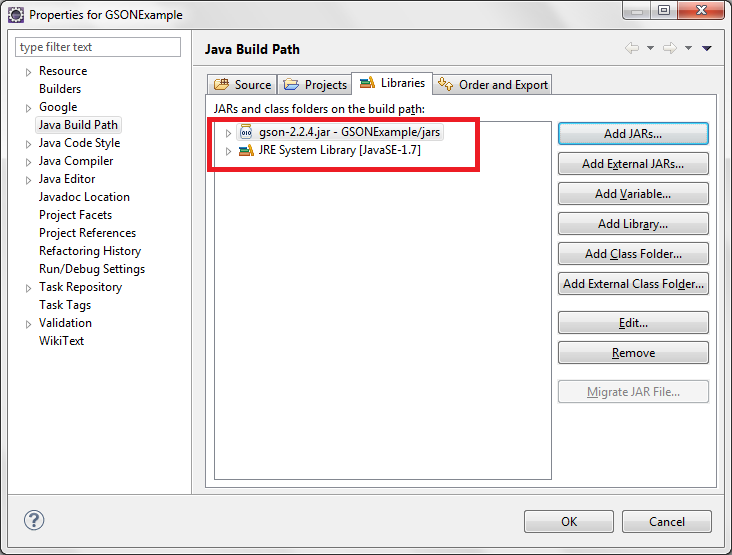 In this post,we will read and write JSON using GSON. 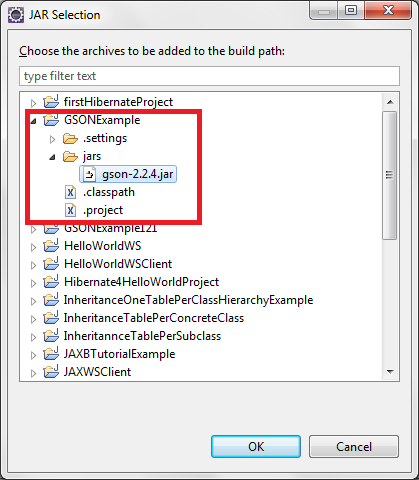 Download gson-2.2.4 jar from here. Create a folder jars and paste downloaded jar gson-2.2.4.jar. 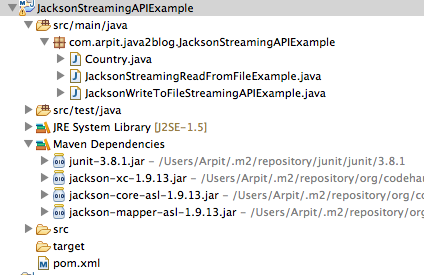 right click on project->Property->java build path->Add jars and then go to src->jars->gson-2.2.4.jar. 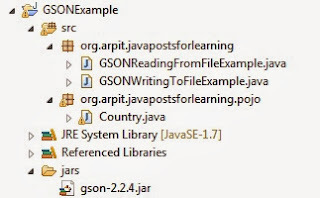 //write converted json data to a file named "CountryGSON.json"
Here we will read above created JSON file. This was very informative and useful. 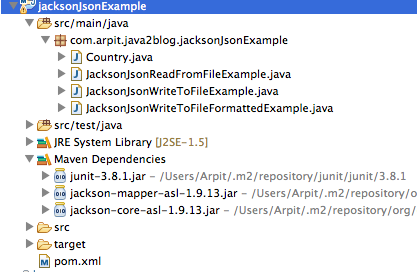 Is there an example w/simple json where you update records within a json object. For example w/structure below how to add a key/value pair to each element? One of the simplest and best examples I have come across on the internet for GSON.. Great job! !